A comprehensive solution that enriches all aspects of your business – from brand consulting and business development to technology tools and operational resources. Join Canter Brokerage and achieve your goals of growth, ownership and simplicity. Canter Wealth: Refer your clients to our Canter Wealth division and receive ongoing annual profit share. Canter Development: Gain access to built-in opportunities to sell our development projects. Canter Companies is renowned for its dynamic team driven culture rooted in charitable and innovative team building events. We pride ourselves on our ambitious and entrepreneurial spirit. If you place a high value on culture, collaboration, serving others and your community–we welcome a conversation. We make it as easy as possible for you to connect with your clients using our full technology suite. We provide top-of-the-line listing presentations, and help you extend your reach within the markets you serve. Plug into any of our state-of-the-art offices. Conduct client meetings, network with other professionals, and join an enviable culture. 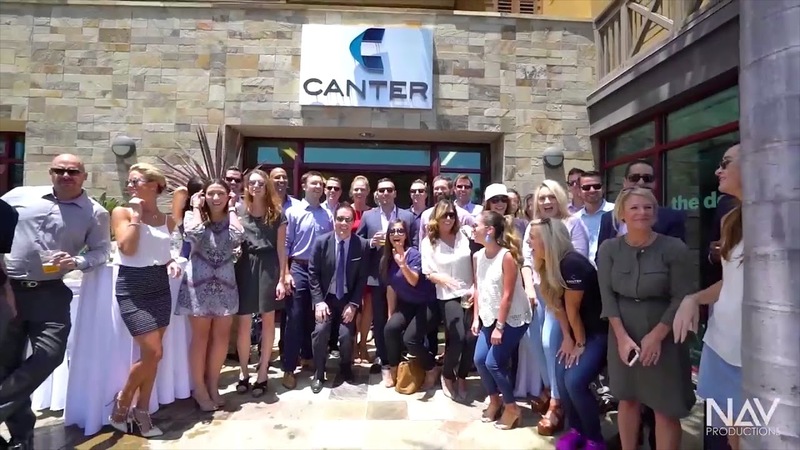 Canter offices are located in downtown San Diego, Bird Rock, La Jolla Cove, and Encinitas with plans for further expansion.